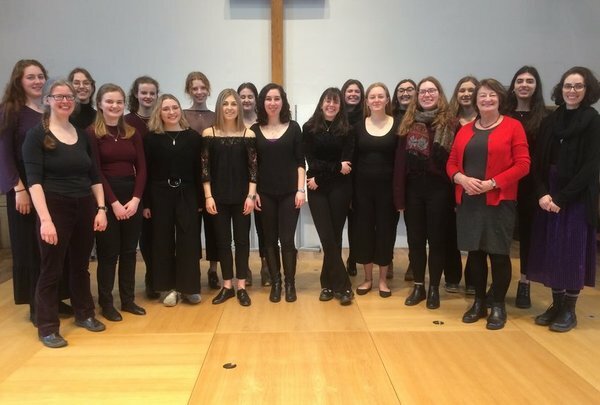 The Schola Cantorum is an auditioned women’s choir, open only to music students (and joint-honours music students). We specialise in medieval music and contemporary music, often written specifically for the choir. Auditions are usually held at the beginning of the academic year (music students and joint-honours music students will receive an email invitation in Welcome Week), although it may be possible to join the choir at other times if there are vacancies. We regularly perform in concerts within the Music Department’s lunchtime concert series (see http://www.bristol.ac.uk/music/events/ for upcoming performances). We occasionally lead public singing workshops, usually where members of the public are invited to join us in preparing for a sung chant vespers or similar. We regularly sing at TreeFest at St Mary Redcliffe Church in December. We are also willing to travel further afield to give concerts, in return for travel expenses and a fee. Please contact Emma Hornby for more information. To book the choir for a concert or event, contact Emma Hornby.